Jim Petzing topped a 174-entry field to win the @runitupreno $235 Pro Bounty event for $7,930. 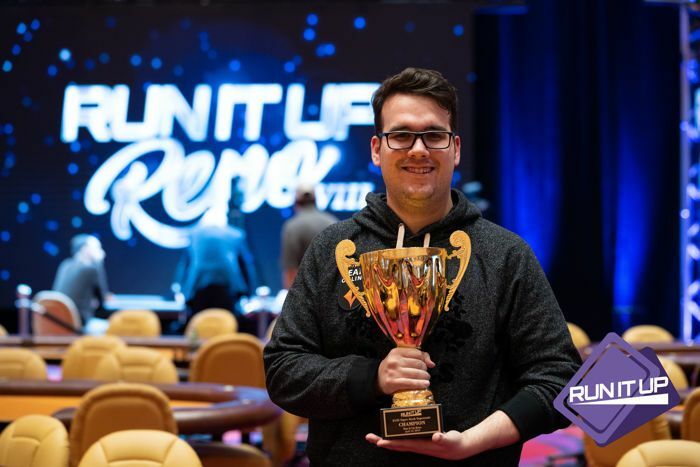 The Run It Up Reno VIII $235 Pro Bounty – a tournament that offered a $300 bounty on various pros – attracted 174 runners to the Peppermill Casino. After more than 12 hours of play, RIU fan favorite Jim Petzing, who the night before gave stand-up comedy a try at an open-mic night, came out on top to win the title and $7,930 first-place prize. 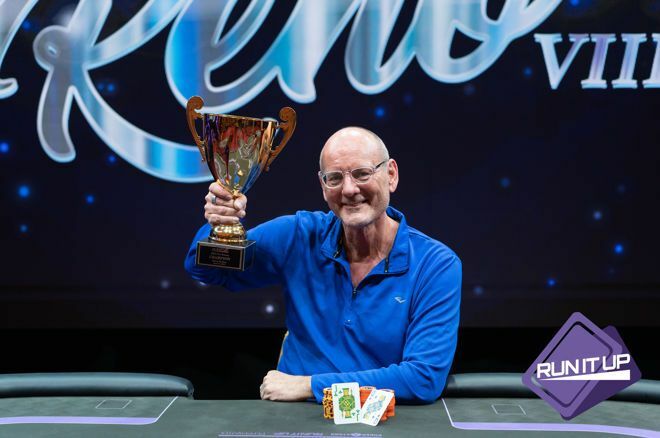 The PokerNews Live Reporting Team is focused on five events at the RIU Reno VIII, but there are plenty of side events throughout including Sunday’s $125 Superstack Supersonic, a tournament attracted 140 entrants and created a $13,580 prize pool. Among those to make a deep run but fall short of the final table were Don McCormick (12th - $310), Dino Gerry (16th - $250), Kevin Martin (18th - $200), and Jimmy Cappucci (22nd - $200). The final table was filled with some familiar faces including the $125 6-Max NLO8 champ Sarah Sherman and Twitch streamer and former Big Brother Canada contestant Arlie Shaban, who finished in sixth and fourth place for $690 and $1,040 respectively. 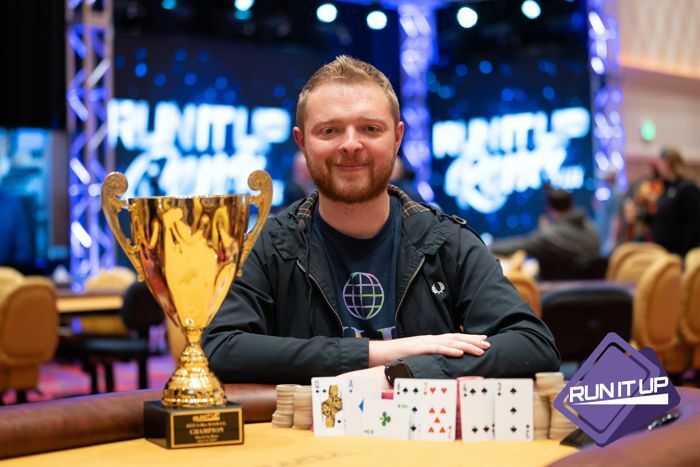 In the end, Twitch streamer and partypoker online pro Patrick Tardif notched his first-ever live tournament win to capture the gold trophy and a $3,030 top prize. Tardif is known as “Egption” online and @IrEgption on Twitter. Another side event that played out on Sunday was the $235 buy-in, $20K GTD 6-Max H.O.R.S.E., a tournament that drew 94 runners and offered up a $20,000 prize pool. Among those to get a piece of it but fall short of the final table were Joe Brandenburg (7th - $660), Jim Petzing (12th - $440), Jason Somerville (14th - $360), and James Brundige (16th - $360). The UK’s Adam Owen, who now resides in Mexico City, finished on top to win a shiny RIU trophy and $5,955 first-place prize. PokerNews’ coverage of the RIU Reno VIII will continue Tuesday with live updates from the one-day $235 Black Chip Bounty Bounty ($100 Bounty). Check out our dedicated portal here for all things RIU Reno.